Hand-made gift baskets for every season and event in your life. Your basket is made only after your order is processed and we know when it will be shipped. 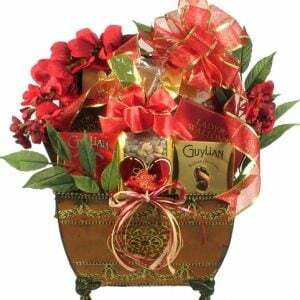 Unlike many of the other gift basket providers, our gift baskets are not mass-produced. We make it just for you! We deliver across the United States from 2 separate locations. Please check the shipping details for every product individually on the product page to plan for delivery on time.